We’d love your help. Let us know what’s wrong with this preview of The Ravenmaster's Secret by Elvira Woodruff. To ask other readers questions about The Ravenmaster's Secret, please sign up. I am into books like the fault in our stars, five nights at freddys, and stories that actually tell a story, is this book good for me? Ok, I enjoyed this story. It had heart, it had a message, it had the ability to stir my emotions. I also like my kid lit to end the way the stories should end (for me, that usually means don't kill off any characters I like, and generally give me happily ever after--I cannot abide sad stories, especially in kid lit), and this book does give me the ending I wanted. I do sort of have questions in my mind about this book, though. It appealed to me, but I'm an adult. I found the imaginings of the mai Ok, I enjoyed this story. It had heart, it had a message, it had the ability to stir my emotions. I also like my kid lit to end the way the stories should end (for me, that usually means don't kill off any characters I like, and generally give me happily ever after--I cannot abide sad stories, especially in kid lit), and this book does give me the ending I wanted. I do sort of have questions in my mind about this book, though. It appealed to me, but I'm an adult. I found the imaginings of the main character to be sweet--I found peace in reading about the daydreams and flights of fancy of childhood. The thing is, the story didn't really move quickly, and there wasn't really anything captivating about it. It was just a good story. As such, I wonder how much it would really speak to or grab the kids it's aimed at (upper elementary aged kids, I believe). I honestly can't imagine too many kids in that age range sticking with this past the first chapter or two. It starts out sedately, and it does ask readers to be a little bit patient while it moves into the main plot. I just don't know how patient young readers are likely to be with their stories. Like Tuck, the raven in this story, today's kids are easily distracted by shiny objects, there are multiple blinking, flashing, noise-making things demanding their attention. Will a good, but quiet story really hold them amongst all that glitz? Hmm... I'm not so sure. Honestly, while I liked the book I can't really imagine myself recommending it to too many kids. Maybe to kids who happen to love anything to do with English history, or to kids who had been on a tour of the Tower of London, but that is just about it. Now, that said, adults who like kid lit, and who like a little sweetness in those stories could do worse than The Ravenmaster's Secret. Excellent story about the raven master and his family residing in the Tower. Imaginative telling and a lesson to be learned - without hitting the listener over the head - made for an engrossing read. There was also some historical blurbs at the end of the tale about the Tower, its history and different customs during that time period. In the story there is a boy named Forrest. He lives within the towers walls. His fathers job is to take care of the ravens and Forrest has to help his father with taking care of the birds but also with other things. One of the jobs is to bring food to the prisoners. Forrest doesn't like the way he lives. One day Forrest gets a new prisoner that he is to bring food to every day. The prisoner is a Scottish girl. One night Forrest goes outside and finds out that his friend Ned has been sold to a ch In the story there is a boy named Forrest. He lives within the towers walls. His fathers job is to take care of the ravens and Forrest has to help his father with taking care of the birds but also with other things. One of the jobs is to bring food to the prisoners. It is when Maddy escapes. what did you like about that part? because he never dies, and since he's just a nice guy. Since I want to play it. For such a short children's book (I read it in a couple sittings) this book had an impressive little bibliography in the back along with some interesting historical notes from the author. It was very well written and interesting. However, for a children's book it did have some content that could be traumatic for children. Life in London in the early 1700's was not a pretty time. Children were not sheltered and protected the way they are now. The author does not shy away from how children were tre For such a short children's book (I read it in a couple sittings) this book had an impressive little bibliography in the back along with some interesting historical notes from the author. It was very well written and interesting. However, for a children's book it did have some content that could be traumatic for children. Life in London in the early 1700's was not a pretty time. Children were not sheltered and protected the way they are now. The author does not shy away from how children were treated and what it was like back then. I haven't decided yet if I will pass this book on to my children right now (11 and 9). I will provide a parent advisory in this review so other parents can decide for themselves. After typing out the advisory, I realize that it may sound like this book was all gore and distressing. It was not. The main plot of the story is about friendship, overcoming bullies, and doing the right thing even when it's hard. It is a fun little action novel that I think would be fun for a lot of middle aged children, it's just that there is some distressing content that may disturb kids. I know it distressed me. -Within the first couple chapters the whole city gathers to witness a hanging. The author describes the jerky dance like movements of the hooded hanging man as well as his "lover" crying and hanging on him to try to speed up the process of him dying. The whole town watches while singing and celebrating. -The author describes climbing boys. Little boys were used to climb up and clean out chimney's and were very mistreated by their master. They were forced to sleep in a cold cellar, weren't given much to eat and were beaten. They "don't live long enough to grow stubble on their face" as the main characters dad puts it. -A little girl watches as her father and uncle attempt to escape by swimming across a river and are then shot and killed with arrows and fished out of the water. Forrest Harper is the son of a guard at the Tower of London who holds the additional role of Ravenmaster. The boy's best friends are Tuck, a raven he's raised from a fledgling, and Rat, a boy who works for the Tower's rat-catcher. Excitement surrounds news that they're to have a new prisoner, a dangerous villain of a Scot taken in battle. Only the prisoner put into his father's keeping turns out to be a girl no older than himself. Rat-catchers and chimney sweeps. Indenture and collar days. Warde Forrest Harper is the son of a guard at the Tower of London who holds the additional role of Ravenmaster. The boy's best friends are Tuck, a raven he's raised from a fledgling, and Rat, a boy who works for the Tower's rat-catcher. Excitement surrounds news that they're to have a new prisoner, a dangerous villain of a Scot taken in battle. Only the prisoner put into his father's keeping turns out to be a girl no older than himself. Rat-catchers and chimney sweeps. Indenture and collar days. Wardens and wealthy prisoners. Turnips and trotters. Sympathy and destiny. A fascinating peek into the lives of those born and raised within the confines of a prison, where hanging days are like festivals and orphans are worse off than the royal ravens. Forrest faces bullies, fails in boyish ways at being a friend, takes his home and family a little for granted, struggles to understand the unfairness of war, and makes choices that shake up his ideas of justice and loyalty. Rising tension that had my heart racing by the end. Excellent storytelling! The Ravenmaster's Secret is a quick read and was more enjoyable than anticipated. The story and characters were engaging. Although it covers heavy topics like abusive child labor, traitors, beheadings, and hangings, it is presented for young readers. I would recommend this one for tweens. The 11-year-old and I read this to complement our early modern history lesson about England and the Tower of London. Synopsis: The year is 1735 and the place is the Tower of London. Forrest Harper is an 11 year old boy who is the son of the prison’s Ravenmaster. His days are spent tending to the birds, playing with his rat catching friend Ned, and providing meals to some of the prisoners. Forrest longs for adventure and receives some when a group of Scottish prisoners are sent to the tower. Amongst them is a girl named Maddy who soon fills Forrest’s ear up with tales of her home in Scotland. As the day of Maddi Synopsis: The year is 1735 and the place is the Tower of London. Forrest Harper is an 11 year old boy who is the son of the prison’s Ravenmaster. His days are spent tending to the birds, playing with his rat catching friend Ned, and providing meals to some of the prisoners. Forrest longs for adventure and receives some when a group of Scottish prisoners are sent to the tower. Amongst them is a girl named Maddy who soon fills Forrest’s ear up with tales of her home in Scotland. As the day of Maddie’s trial and execution approaches, Forest and Ned are tempted to become part of a plot to help her escape. But there is so much at stake. If they are caught, it would surely mean death for them and great shame for Forrest’s family. What will they do? Personal Reaction: Because I enjoy reading about history and other cultures, this was a quick and easy read for me. Woodruff packs this book with bullies, thugs, and shady people. She also does such an excellent job of building characters and moving the plot along that I truly wanted for Forrest, Ned and Maddie to prevail. After I hit the midway point of this book, I just burned through the rest. I had goosebumps as I read the final pages. I’m not sure that I can give a book higher praise than that. Themes include father-son relationships, testing of friendships, freedom vs. captivity, bullying, the limits of patriotism, the morality of public executions, child labor, and child cruelty. I was looking for books for Colin that he hasn't read and the librarian recommended this one. She said it has often been a battle book and was one of her favorites. While Colin wouldn't read it (he was not interested after a couple of chapters), I decided to give it a whirl since it was one of the librarian's favorite books. I can see why Colin put it down. For a children's book, it's a little bloody. Not in a grotesque way, but it is a softened version of life in the Tower of London in the 1700' I was looking for books for Colin that he hasn't read and the librarian recommended this one. She said it has often been a battle book and was one of her favorites. While Colin wouldn't read it (he was not interested after a couple of chapters), I decided to give it a whirl since it was one of the librarian's favorite books. I can see why Colin put it down. For a children's book, it's a little bloody. Not in a grotesque way, but it is a softened version of life in the Tower of London in the 1700's - kids forced into slave labor, watching hangings, etc. The story itself is not bad and fairly interesting from a historical fiction perspective, but I'm not sure why this was one of the librarian's favorite books. I expected a little more with a recommendation such as that. I really enjoyed this one! The characters were well-rooted in their historical setting (which was clearly well-researched) and it never came across as dull or as a summary of events. The characters were true to their roles, but in a way that fit their own histories rather than being pawns on a chess board. I always appreciate the balance between character and plot and don't really like when one dominates the other. I found myself rooting for Forrest and his friends, and the villains were appropr I really enjoyed this one! The characters were well-rooted in their historical setting (which was clearly well-researched) and it never came across as dull or as a summary of events. The characters were true to their roles, but in a way that fit their own histories rather than being pawns on a chess board. I always appreciate the balance between character and plot and don't really like when one dominates the other. I found myself rooting for Forrest and his friends, and the villains were appropriately creepy when the occasion called for it. I will definitely look out for more titles by this author. The Ravenmaster's Secret is about a 11 year old boy named Forrest Harper. This story takes place in 1735 at the tower of London. Forrest is the son of the Ravenmaster Hugh Harper who has been a warder at the tower for over 25 years. Three new prisoners comes to the tower of London two were big and muscular Scottish rebels the third was a 11 year old girl. Forrest makes a deal with her to let her out. Will she escape or will she stay as a prisoner that is up to Forrest. 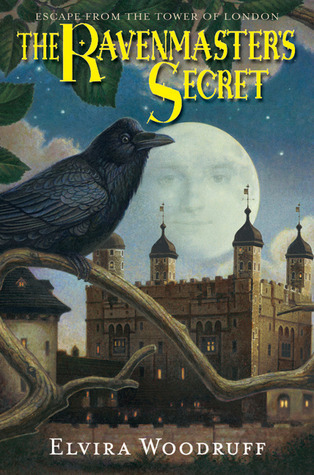 I would definitely recommen The Ravenmaster's Secret is about a 11 year old boy named Forrest Harper. This story takes place in 1735 at the tower of London. Forrest is the son of the Ravenmaster Hugh Harper who has been a warder at the tower for over 25 years. Three new prisoners comes to the tower of London two were big and muscular Scottish rebels the third was a 11 year old girl. Forrest makes a deal with her to let her out. Will she escape or will she stay as a prisoner that is up to Forrest. Great book! I couldn't put it down, so I finished it in a day. A thrilling adventure of daring and friendship. Great plot line, with strong characters and unexpected events. I definite favorite! I'm telling you to read this book! Captivating tale about life in medieval times. A great book for all readers. in the beginning it was boring but whaen you got deeper and deeper in to the book it is a very good book!!!!!!!!!!!!!! 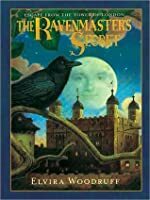 Set in the Tower of London in the 1700s... the best part of this book were the little historical tidbits about living in the Tower with the ravens. Forrest Harper is the son of the Ravenmaster. For those unfamiliar with ravens at the Tower, there's a legend that the Tower (and by extension, the Crown) will fall into enemy hands if ever the ravens were to leave. The story itself is about Forrest and how he (and his young rat-catching ally, named Rat) befriends a Jacobite (Scottish) prisoner. I won Set in the Tower of London in the 1700s... the best part of this book were the little historical tidbits about living in the Tower with the ravens. Forrest Harper is the son of the Ravenmaster. For those unfamiliar with ravens at the Tower, there's a legend that the Tower (and by extension, the Crown) will fall into enemy hands if ever the ravens were to leave. The story itself is about Forrest and how he (and his young rat-catching ally, named Rat) befriends a Jacobite (Scottish) prisoner. I won't spoil the prisoner's name as this is an important part of the plot. But I will say that this book includes a raven who can perform tricks, covert messages, and a plot for a daring prison escape. And now for a quick peek into the 1735 Tower of London. Told from the viewpoint of the Ravenmaster's son, the story is about oppression, the evil Scots, a rat catcher, an even more evil chimney sweep, turbulent times, and friendship. It is common life inside the Tower for the Warders and their families. Forrest knows he is destined to be the next Ravenmaster, but he longs to know life beyond the Tower walls. He helps guard a prison who is more than a little different: she's a girl, she's a Scot, And now for a quick peek into the 1735 Tower of London. Told from the viewpoint of the Ravenmaster's son, the story is about oppression, the evil Scots, a rat catcher, an even more evil chimney sweep, turbulent times, and friendship. It is common life inside the Tower for the Warders and their families. Forrest knows he is destined to be the next Ravenmaster, but he longs to know life beyond the Tower walls. He helps guard a prison who is more than a little different: she's a girl, she's a Scot, and she's Noble. I read this book with my son as a 7th grade historical literature assignment. We were supposed to read 2 chapters each day, but I found it hard to stop. Each day I wanted to read more. We finished reading this today. I cried so much at the end that I had to have my son read the last few pages of the last chapter and the epilogue, so I guess you could say that I was definitely emotionally invested in Forrest, Ned, and Maddy's story! This book was a fascinating story of a young boy who has some amazing friends. Forest lives at the tower of London, his father is the Ravenmaster and a guard at the Tower of London- the Bloody Tower to be exact. What will happen when a girl about his age is imprisoned there and she is innocent? Will he be able to help her? I really enjoyed this book. It was a quick read and easy to follow. The characters were likable and all had compelling stories. There were unexpected twists and turns and the ending was realistic and satisfying. I love books about this time period and this one was equally enjoyable. Such a fun, quick read! I don't often read books like this for younger audiences, but this one was wonderful. Loved the characters, the conflict was great, and I cried at the end. Simple but beautiful writing too. 3 1/2 stars. It was a great book to listen to with my 9-year-old son so he could get an idea of what life was back in that time. I loved that it takes place in the Tower of London and I could picture most of the locations. I read this years ago. I couldn't remember the title! I'e been wondering about it for a while, then low and behold, I find a copy at the library's book sale section. I remember it was interesting. I liked it pretty well, though not as much as the other book I had at the same time (The Goose Girl). This is a wonderful, children's story. It has some historical details for the younger reader, delightful characters that you want to root for and an ending you won't see coming. Good age range 8-10. Well-known for her popular children’s stories, author Elvira Woodruff had a long route to becoming a writer. In fact, one of her first jobs after leaving college was driving an ice cream truck. She has also worked as a receptionist, a janitor, a window dresser, a gardener, a shop owner, an assistant librarian, a waitress, and a storyteller. 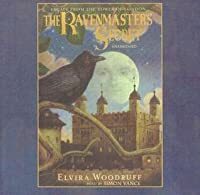 After working for several years in the children’s room of Well-known for her popular children’s stories, author Elvira Woodruff had a long route to becoming a writer. In fact, one of her first jobs after leaving college was driving an ice cream truck. She has also worked as a receptionist, a janitor, a window dresser, a gardener, a shop owner, an assistant librarian, a waitress, and a storyteller. After working for several years in the children’s room of a library, Woodruff began writing professionally at the age of 35, and hasn’t stopped since. Born and raised in New Jersey, Elvira Woodruff has also lived in Boston, Massachusetts. She has two sons, Noah and Jess. When she isn’t writing, Woodruff likes gardening—especially with blue flowers—and enjoys traveling. “[One] year I fell in love with Leonardo daVinci and flew to Italy where I rented a car and traced his footsteps from Vinci to Florence and Milan.” She also spends a lot of her time visiting schools and libraries, sharing her ideas about writing with children. Elvira Woodruff’s book, Dear Napoleon, I Know You’re Dead, But . . ., is a clever and funny story about a boy who writes a letter to Napoleon Bonaparte for a class project, and receives a surprising reply. It has been included in numerous child-voted state award programs, including the Mark Twain Book Award program (Missouri), the Sequoyah Children’s Book Award program (Oklahoma), and the West Virginia Children’s Book Award program.